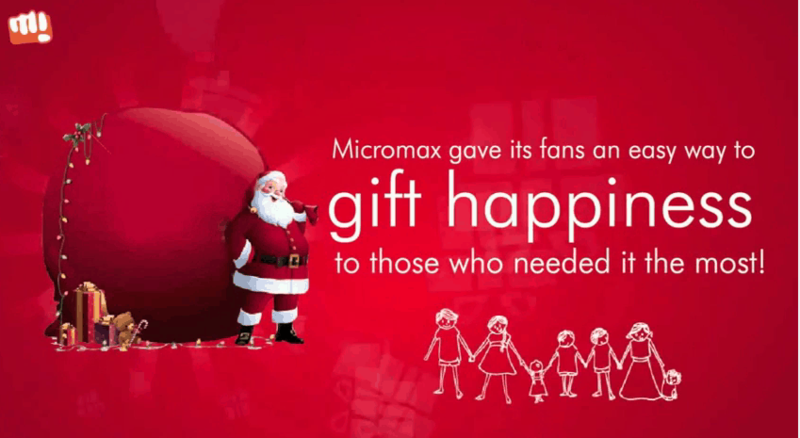 Micromax Mobile wanted to empower those who are active inhabitants of the online world to come forward and participate in a campaign for social cause by spreading the Christmas cheer to everybody at the same time. 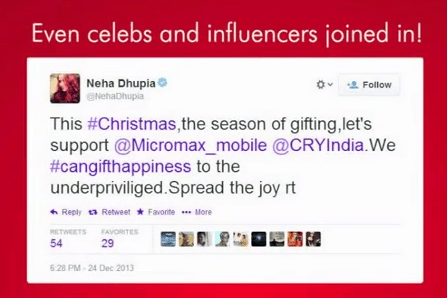 The company launched a campaign on Twitter #CANGIFTHAPPINESS and with every tweet made using #CANGIFTHAPPINESS they donated Rs.1 to CRY, India! 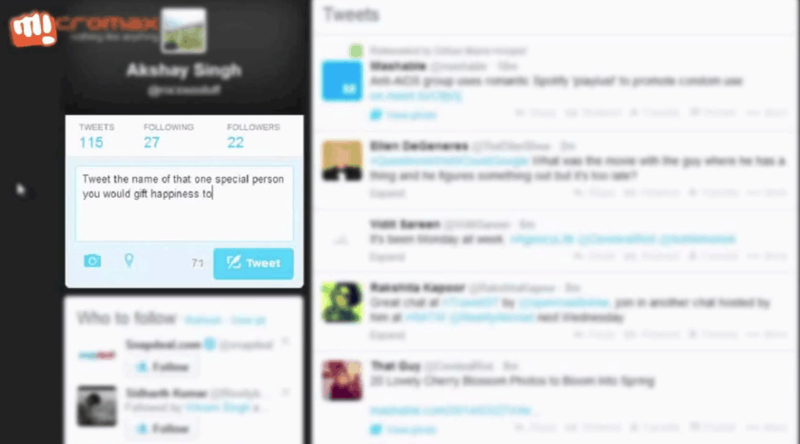 The campaign not only resulted into a great help for CRY but bestowed the mobile company with some great gifts like more impressions, more mentions, more followers and so on. • To allow and encourage Netizens to come forward and participate in a campaign for social cause by spreading the festive cheer to all at the same time. 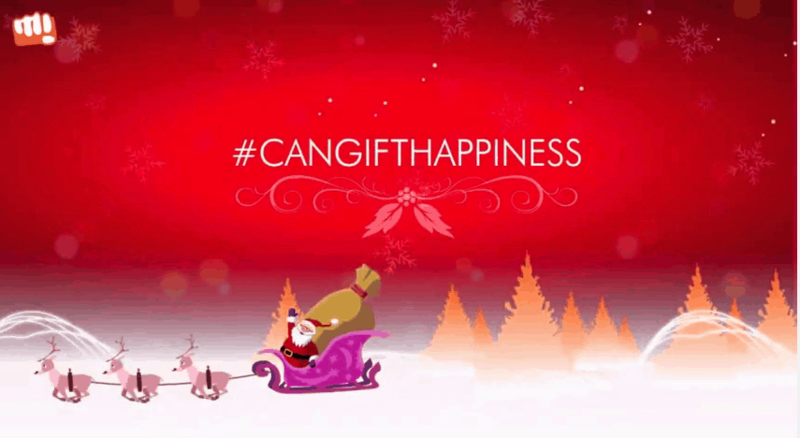 • The mobile company launched a campaign #CANGIFTHAPPINESS on Twitter and asked people to use it in their tweets along with a wish in order to help them spread the happiness. 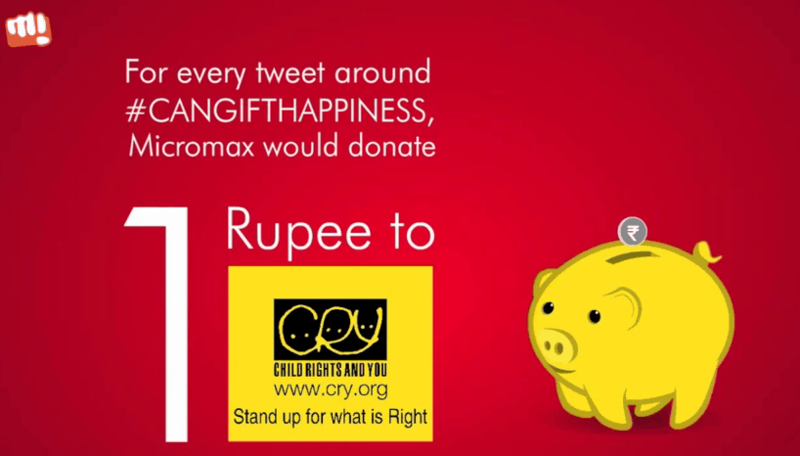 • Rupee 1 was donated by Miramax for every Tweet around #CANGIFTHAPPINESS. 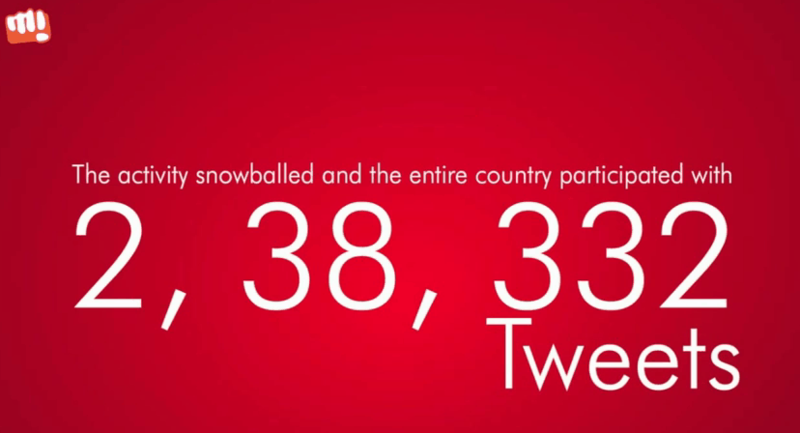 The total number of tweets generated would be the amount of money being donated to CRY.